A product launch can be a daunting moment. How good (or bad) the launch goes will often determine the long-term success of the product. Even if you’ve adopted a lean approach, you’ll find that the first impressions you set at launch will be hard to break. In my experience, successful product launches usually have the same few ingredients: the right timing, the right product, and the right customers. Below, I’ve shared what I believe are the 6 most important elements of a successful product launch. According to a CB Insights survey, 42% of startups fail because of poor product-market fit. Presumably, these startups had promising products but couldn’t find a steady stream of customers for them. Poor product-market fit can often be chalked up to ill-defined buyer personas. Businesses often head straight to launch without knowing who their target customers are. 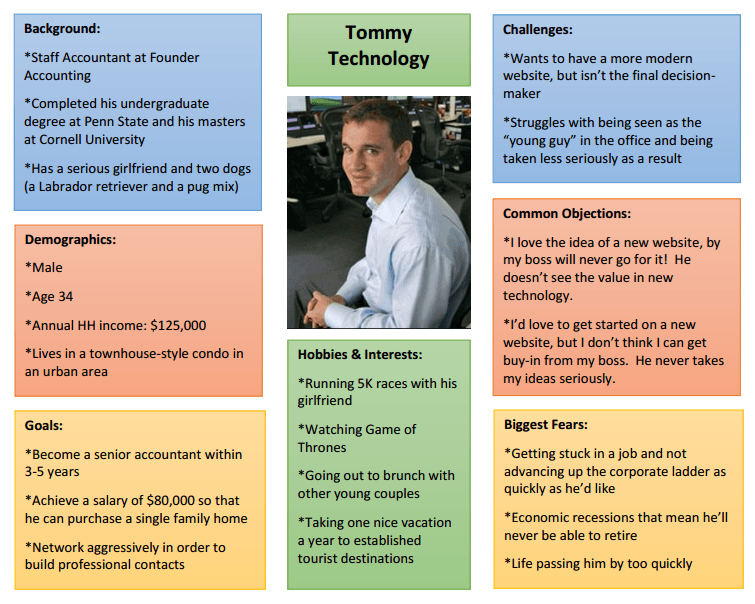 On the other hand, they sometimes have too many personas which spreads their marketing focus thin and leads to failure. Neither of these situations is ideal. This is why at launch, you should focus on a single buyer persona at first. This should generally include your hungriest buyers who are easy to convert. Once you have a process for turning them into paying customers, you can expand your focus to cover other buyer personas. 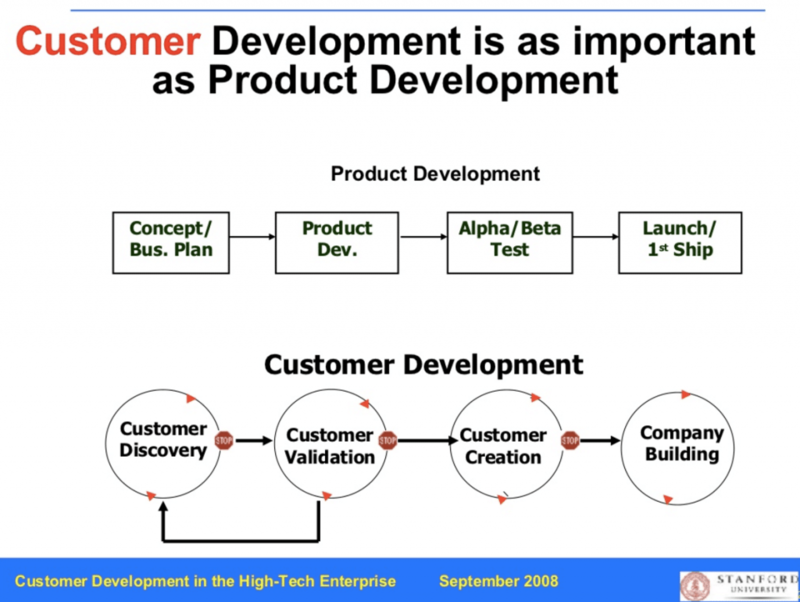 One way to approach this is to adopt a customer development methodology (courtesy of Steve Blank). With this approach, customer development and product development happens in tandem. As a result, once you’re ready to launch, you already have a group of vetted – and paying – buyers. This takes the guesswork out of finding product-market fit and primes you for a successful launch. It can be tempting to launch a product that solves every problem imaginable for your target market. This Swiss army knife approach usually leads to half-baked products, or worse – products not being launched at all. Conversely, some of the most successful products often started out solving very specific problems for a narrow market segment. 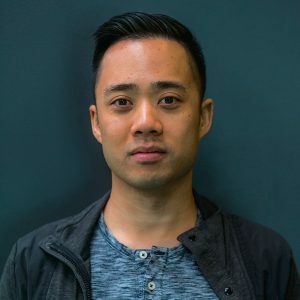 Consider the case of Park.io. 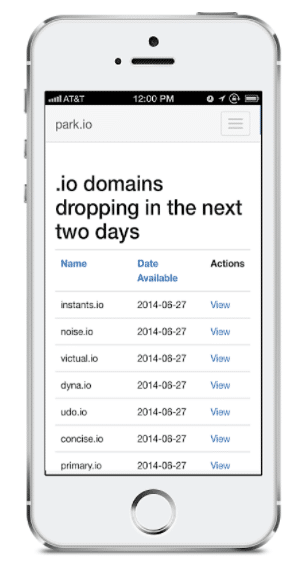 This product solves a very specific problem – helping people backorder expired .io domain names. Instead of diversifying focus to multiple domain extensions, Park.io covers just .io domains and earns revenue of $125k/month. This tailored approach is proven to work across industries. Amazon didn’t sell everything from A to Z when it launched; it only sold books. Microsoft didn’t sell everything from cloud computing to operating systems; it only sold DOS. For your product launch to go right, it is crucial that it solves one problem really well at first. Later, you can expand your focus to other problems based on user feedback. Positioning defines how you’ll market your product against competitors. This is a very broad term that encompasses everything from your design and copywriting to your features and pricing. Whether customers see your product as serious, business-like, fun, affordable, etc. will usually depend on your initial positioning. Positioning is critical for launch success. The impressions and expectations that you set at launch will linger for years, possibly even forever. If Coke’s C2 or New Coke failed to find markets, it can be chalked up, in large part, to poor positioning. Buyer personas: Position your product to align with your target market’s values, demographics, affordability, etc. Internal culture: An often overlooked point is that your internal culture should be able to support your product’s positioning. Selling yourself as a youthful, fun product when you don’t have a culture to support it can lead to disaster. Marketing capabilities: Closely tied to internal culture, your positioning should align with your existing marketing capabilities. If you want to push the product with clever, quirky marketing, you should have the right designers and copywriters to support it internally. Competitors: Positioning helps you stand out from your competitors. Detail exactly how your competitors market themselves, then pick a position that separates you from them. Your customers should know immediately what differentiates you from others on the market. Before Mint launched its personal finance app, it already had a pre-beta waiting list of 20,000 people. Mint managed to do this through aggressive email collection tactics and content marketing, even before actual product launch. This serves as a lesson in launches: your marketing should be as much a focus as the actual product development. You should have some market buzz, press relationships, emails and content to kickstart distribution when your product goes live. This solves one of the biggest problems for most businesses: distribution. Instead of waiting on a “build it and they will come” approach, this gives you the momentum necessary to ensure success. Email list building: At the very least, set up a landing page with an email collection form. Refer people to this page whenever and wherever you mention your product. Content creation: If you can, maintain a blog and promote your content aggressively. Add an opt-in form to collect emails from visitors. This will give your brand some market recognition, an SEO footprint, and emails before the actual launch. PR: Start the PR process long before you launch the product. Nurture relationships with influencers and use content seeding to reach out to journalists. A Rolodex full of press contacts will be invaluable once you do launch. You might recognize this as the lean methodology later championed by Eric Reis. An iterative approach to product launches means that you continuously develop the product based on customer feedback. Instead of launching a finished product, your launch should do one thing exceptionally well (see #2 above), and then expand based on what users have to say. Pre-beta stage: Interview prospective customers and/or run surveys to understand user requirements and resistances. Beta-stage: Email your users and ask for pointed feedback on their experience. Invite a select few for a chat or coffee. Alex Turnbull of Groove, for instance, emailed 500 early customers for feedback which helped improve the product. Post-launch: Incorporate feedback collection tools and methodologies, such as Qualaroo widgets and NPS scores. Users should be able to tell you exactly what is wrong (or right) about your product so you can improve it in the future. Is the market ready for my product? There should be verifiable demand for the product or at least a positive market sentiment (especially for consumer products). Is my product ready for the market? The product should be in a mature enough stage to bring real results to its buyers. Is my team ready to bring the product to market? Your team should have the expertise, motivation and know-how to transition from ‘development’ to ‘launch’ stage. If the answer to any one of these questions is ‘no’, it can impact your product launch. The answer to the other two questions is highly subjective, of course. You’ll have to ask your own team whether they (and the product) is ready to go live. It usually requires several elements coming together to create a successful product launch. You need the right product, the right market, the right positioning and the right timing for success. These 6 elements are not always necessary for a successful launch, but they will definitely help in getting your product off the ground. Delivered once a week right to your inbox.